The Eureka company was founded in 1909 and since its inception consumer reviews of Eureka vacuum cleaners consistently show very high ratings. Read consumer reviews written by other visitors to this site, or submit your own. 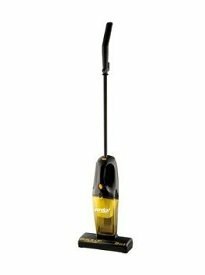 Eureka vacuum cleaners, from their upright models to stick vacs to handheld models, are known for being no-frills, affordable machines. In addition the Eureka company is committed to creating environmentally-friendly machines, and many of their vacuums boast a positive energy star rating. In 1909, Fred Wardell started the Eureka Vacuum Cleaner Company in Detroit, Michigan. Just ten years later, Eureka was producing 2,000 brand new vacuum cleaners each day. Soon after that, Eureka was responsible for approximately one third of all the vacuum cleaners made and sold in the US. During World War II, the Eureka Company switched from producing vacuum cleaners to making gas masks and other military supplies in support of the war effort. When the war ended, Eureka went back to focusing its attention on making vacuum cleaners and instantly reclaimed its position as one of the most popular vacuum cleaner brands in the country. The Eureka Vacuum Cleaner Company was sold to the Electrolux Company in 1974, and returned to its original mission – producing quality floor care machines for the home and business. Eureka vacuum cleaners have been known for their excellent service and reliability in cleaning floors, carpets, rugs, upholstery and drapery for more than 100 years. Even before the 1974 acquisition by Electrolux, Eureka vacuums and floor cleaners had an established reputation as being a choice for the discriminating customer who wanted only the very best for their homes. Durable – Vacuums made by Eureka are known to last for many years, maintaining the same level of quality cleaning power as the day they were first put into use. Innovation – Eureka incorporates the latest technology in their products. Stylish – Eureka vacuums are not only powerful cleaning machines, they are also designed with the discriminating eye in mind. Cool colors, sleek lines and ergonomic styling are hallmarks of every Eureka vacuum cleaner. Eureka produces vacuum cleaners for all types of cleaning which means that they cover the whole range of vacuums – from uprights, canisters, handhelds, stick vacuums to central vacuum systems and even steam mops. Their best selling models are still the 4870 MZ/GZ Boss upright vacuum and the 71B handheld vacuum cleaner. Eureka now looks to build upon the success stories of these two models and keeps improving their whole line of cleaning machines. Eureka uprights come in both bagless and bag styles and are designed to clean carpets and rugs as well as hard surface floors. 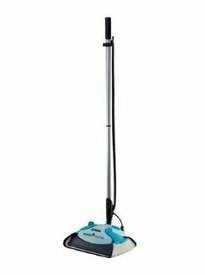 Several Eureka models are designed to clean both carpeted surfaces and hard floors. With more than 30 models to choose from, you are certain to find on to fit your lifestyle and your budget. Cleaning the entire house with a Eureka canister vacuum is made easier because of how effortlessly Eureka canister vacs move about as they clean the entire house from one point to another. Whether you choose a bagged or bagless canister vacuum for your home, you will find that you will be able to clean all of your floors, drapes, upholstered furniture and carpets and rugs with little or no effort. Owners of many Eureka lightweight vacuum models have the versatility of converting their cleaners to handheld vacuums with ease. This simple option makes cleaning carpeting, area rugs, bare floors, stairwells, drapery and upholstered furniture easy to accomplish with one single machine. When it comes to cleaning cars, trucks and stairs, the Eureka handheld vacuum cleaner is one of the best choices you could make. Their 71B handheld model has been a best selling handheld vacuum cleaner on Amazon.com for many years. Whether you make a decision to install a Eureka central vacuum system in a new or existing home, you will not have to do any remodeling whatsoever and your walls will not be damaged by the installation of the necessary pipes. Best of all, there is absolutely no mess while your system is being installed. Once it’s in place, the hard work is done. All that’s left for you to do is connect the hose and flip a switch to clean every corner and crevice of your home. Cleaning and sanitizing the hard surface floors in your home is safe and chemical free with the Eureka line of steam cleaners. Those quick clean up jobs are even quicker with the practical Eureka steam cleaner models which can be converted to use as handheld steamers. Eureka vacuum cleaners are one of the most popular brands based on consumer reviews. Their 4870 Boss upright vacuum cleaner has been getting rave reviews based on its performance, maneuverability and durability. 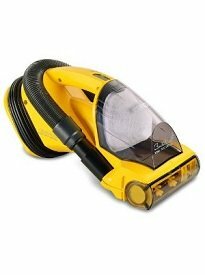 The smaller 71B handheld vacuum is still one of the best rated vacuums on Amazon.com because of its low price and excellent performance. Affordable prices with excellent performance. 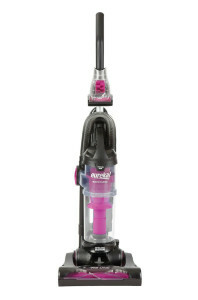 A huge selection of models in the "below $200" price range where most vacuums are sold. Specialized vacuums for pet hair and allergy sufferers. Lower priced models are made of cheaper plastic - while the vacuums still works, it quickly shows nicks and scratches with regular use. Too many models to choose from - most consumers get lost in the huge selection. Most vacuums suited only for cleaning either carpeting or hard flooring. Very few that clean both major flooring types well. Affordable price, excellent performance, especially on carpets. Very satisfied with handheld vacuums made by Eureka. Pet owners love the Pet Power Paw Turbo Brush - it does a great job removing pet hair from carpeting and upholstery. The bigger uprights are difficult to maneuver. Not suited for hard flooring. See just below for a list of Eureka consumer reviews left by visitors to this page, or leave your own. Eureka has been expanding their line of vacuum cleaners in the last years. They were the leaders in the upright and handheld selection before (and they still are near the top), but they've also been very successful with the Mighty Mite canister vacuum and their Envirosteamer steam mop lately. If you're in the market for a handheld or an affordable vacuum that does well with pet hair, then definitely start your research with Eureka vacuum cleaners. If on the other hand you need a vacuum with perfect fitration that does well on hard flooring too and has other bells and whistles, start your research with our Wizard and see what suggestions you'll get. 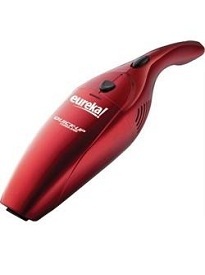 Have you had a Eureka vacuum cleaner? Share your experience with it–your thoughts, frustrations, satisfactions, and more–below and we will publish it on this page for other visitors to benefit from.